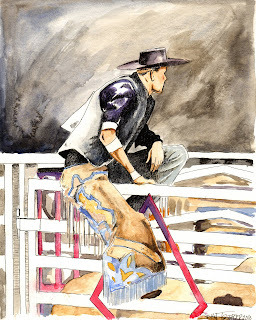 One cowboy painting hot off the press...er...easel...okay fine, hot off the drafting table. Happy now? I really do hate the title saying. "Cowboy up." It's a saying popularized by people who are not actually cowboys and wanted a new, nifty way to tell someone to toughen up. I use it as diner lingo. "One cowboy up, hold the pistols and heavy on the chaps!" See? I have now introduced a fun new oeuvre into the world of the restaurateur. I fully expect to be compensated when this new chain of Old West diners sweeps the nation by storm. ANYHOO...back to the painting. I have painted this fellow before. And done pen and inks of him. And I'm pretty sure he's in a few sketchbooks now that I think about it. I just really liked that pose. 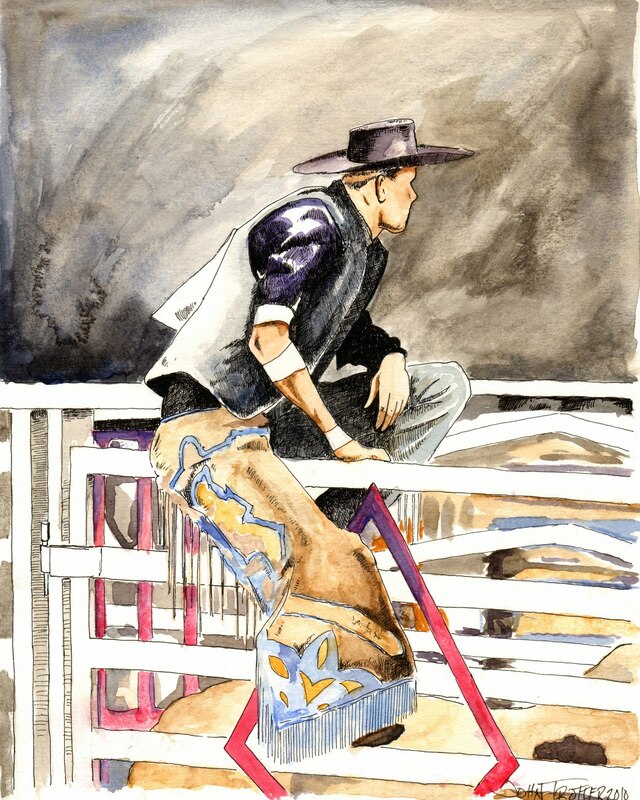 Nothing but the confidence of the young and the swagger of a cowboy all condensed into one seated pose on a gate. This totally looks like you!